What if you spent your entire life not just removed from family and friends, but without ever coming into contact with a single member of your species? You might not immediately understand the lack of social connections in your life, but deep in your heart, you would know that something was very wrong. Unfortunately, that’s what happened to the young cub in our story, who grew up alone inside a cage after being removed from his natural habitat. Not once in his lonely existence did he never encounter another animal, except for his human captors, who were anything but kind. 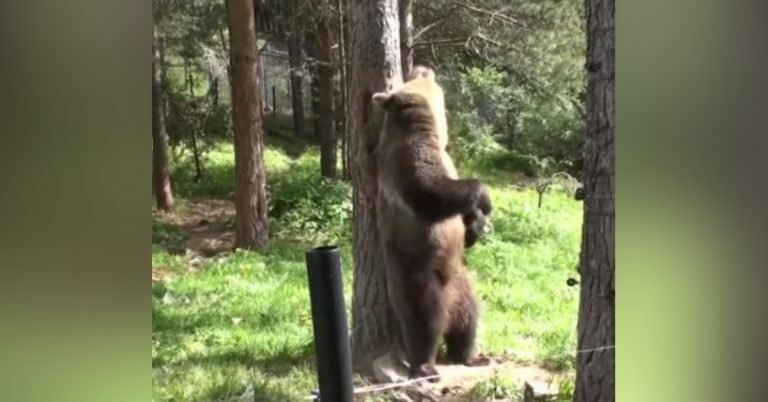 Fortunately, a team of animal rescuers got wind of the 2-year-old bear cub’s lonely plight, and immediately dispatched a rescue team to the Albanian village where the animal was being held. But upon their arrival, they were absolutely horrified to discover the conditions in which the poor animal was being held. 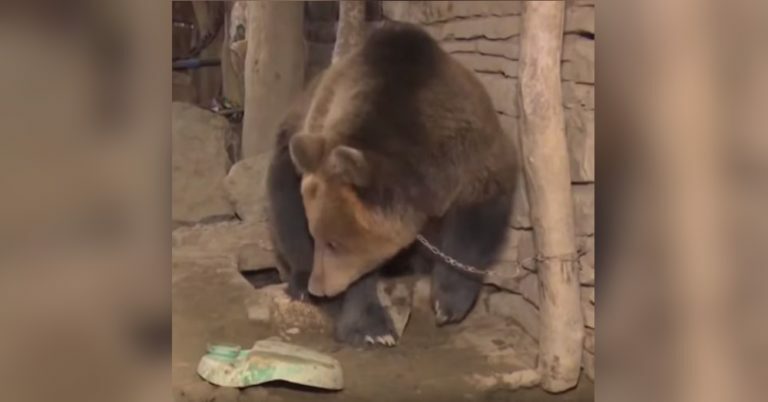 Rescuers found the bear chained to the wall, even though the animal was already locked inside a small, dark, windowless shed. The space was so small that the bear could barely move or turn around. Even worse, the animal subsisted on just a barest amount of food and water. 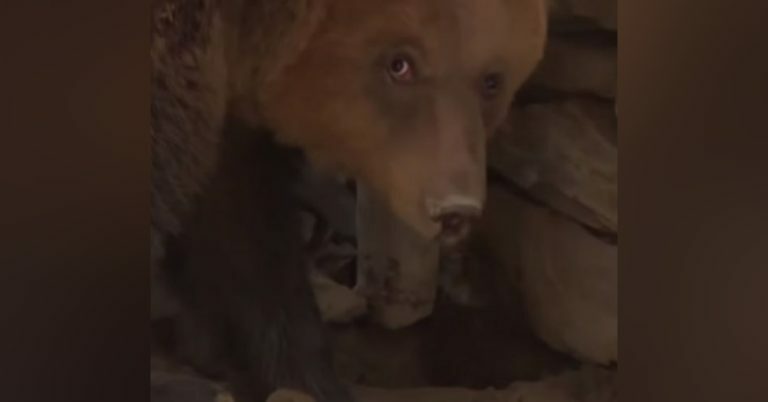 In 2017, rescuers finally brought Riku to a Bulgarian bear park for medical treatment, which doubled as an opportunity for the animal to finally meet other members of his own species. Nobody was entirely sure how the animal, who’d spent his whole life in solitary confinement so far, would react. 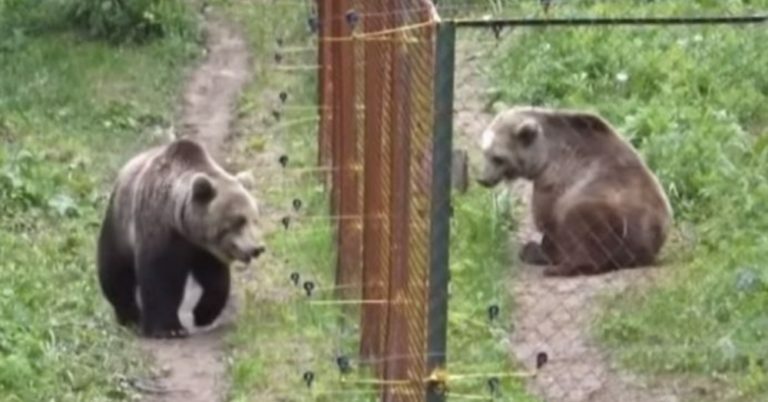 For weeks, Riku and a 22-year-old bear named Gabriela touched noses through a wire mesh fence, wordlessly bonding over their shared circumstances. Gabriela had just been rescued from a Bulgarian circus, which are notorious for desperate living conditions and animal abuse. 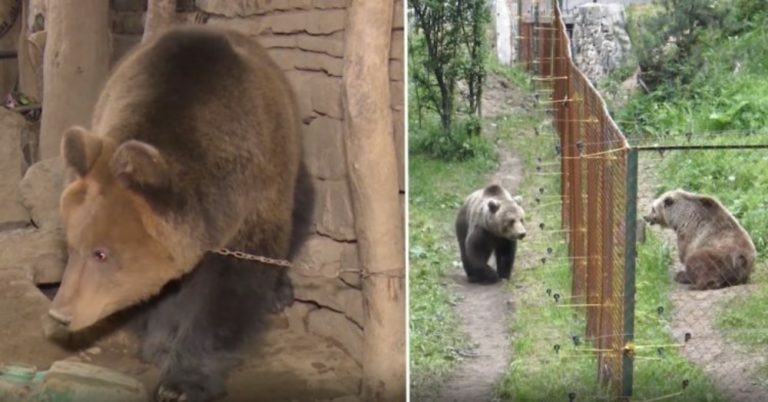 When it became clear the two bears would play nicely together, rescuers decided to remove the wire barrier – and thankfully, the cameras were rolling! You can watch their adorable meet-and-greet in the video below!